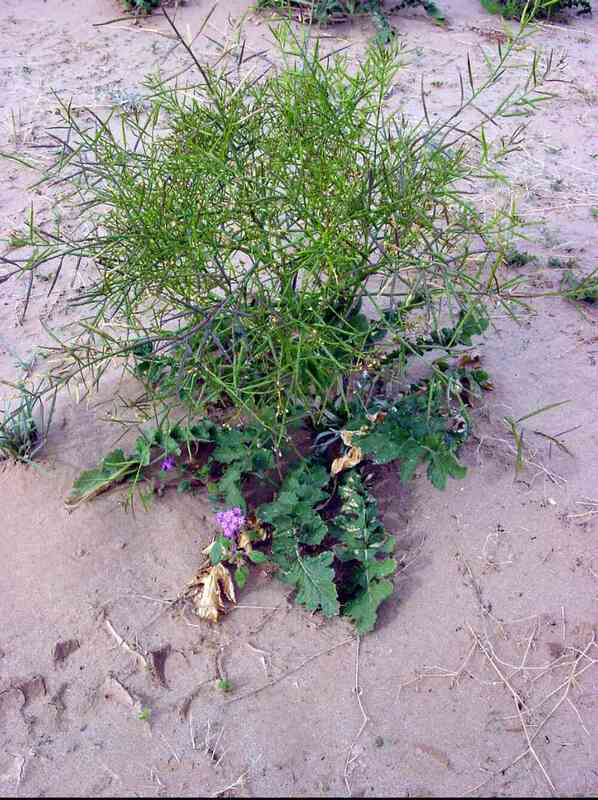 Mature Plant of Sahara mustard. 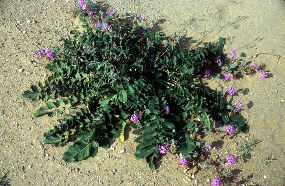 Individual plants can grow to three feet tall and wide. 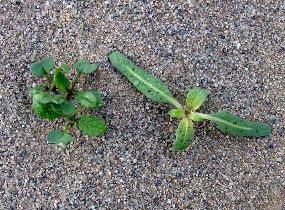 Young seedlings of Sahara mustard (left) and native dune evening-primrose (Oenothera deltoides). 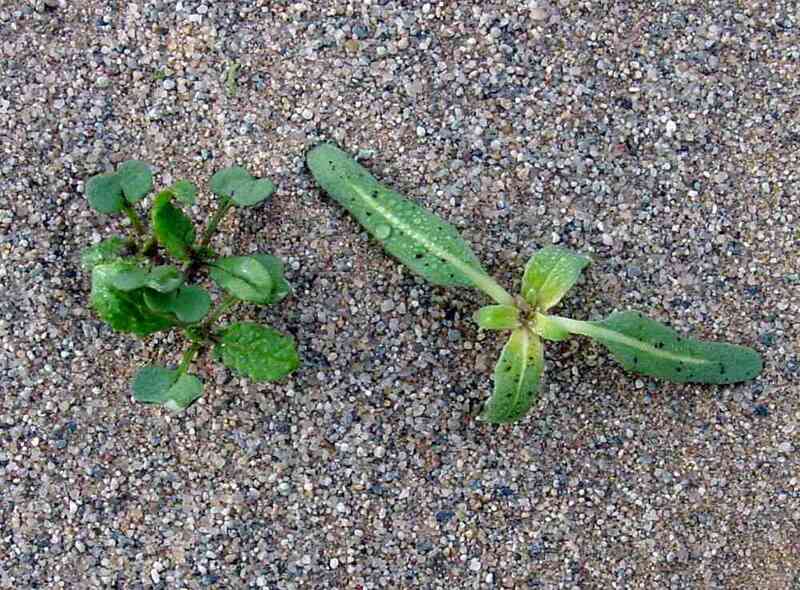 The native has little chance of surviving (next image). 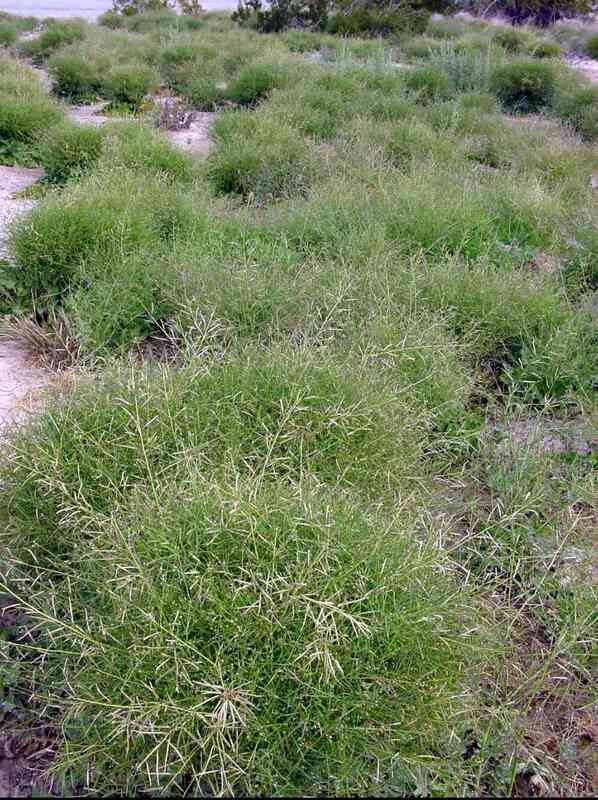 Sahara mustard grows faster and larger than native annuals and smothers most of them. 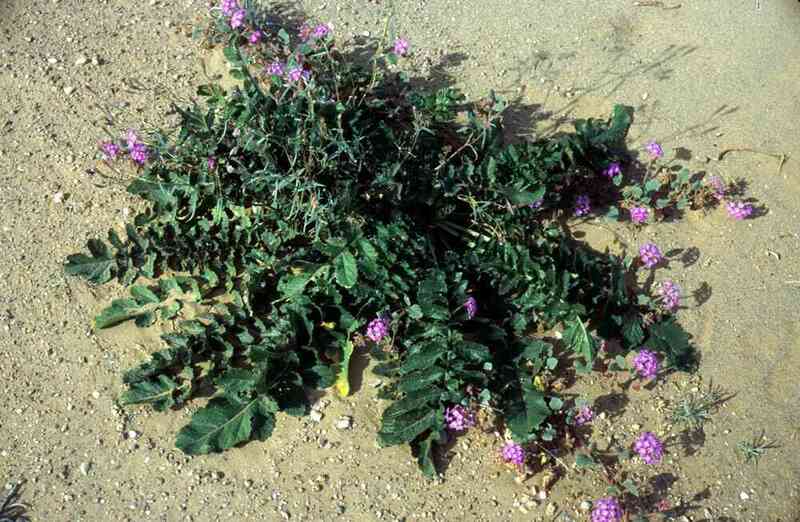 The lavender flowers above are a sand verbena (Abronia villosa). 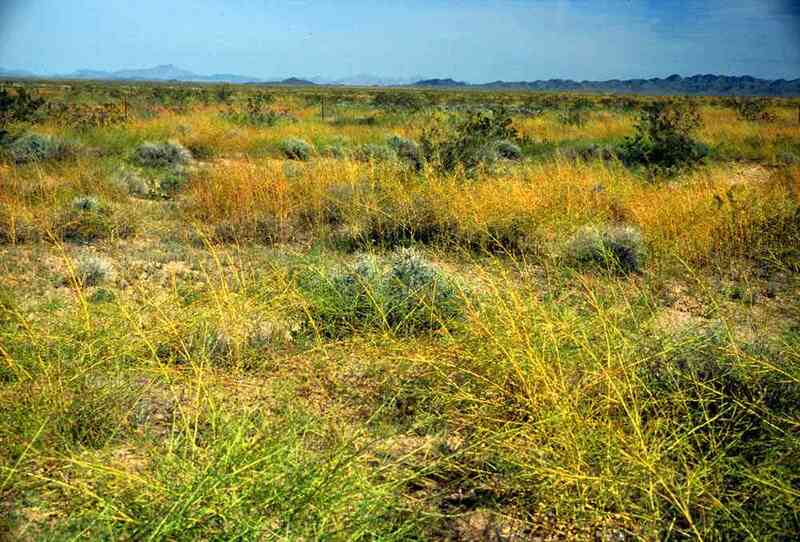 A dense stand of Sahara mustard on Wiley's Well Road near Interstate 10, California. 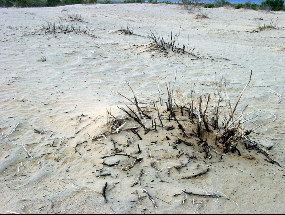 Dead, burned creostebushes (Larrea divaricata tridentata) on Wiley's Well Road near I-10, California. 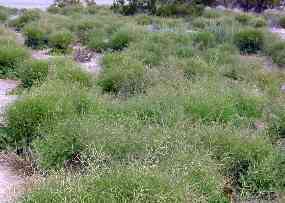 The shrubs were not sufficiently close together to carry a fire, and native annuals that grow beneath and almost never get that dense either. 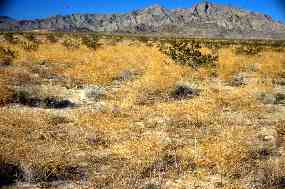 Before the fire the area was probably thick with Sahara mustard as the adjacent area in the preceding image. 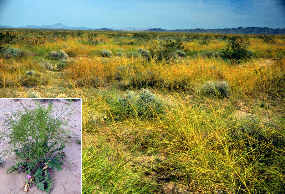 Large areas of the Bouse Dunes in western Arizona have bee invaded by Sahara mustard. There used to be spectacular wildflower blooms here. Left above: The sand dunes east of Twentynine Palms, CA (north of Joshua Tree National Park) in the wet spring of 1964. 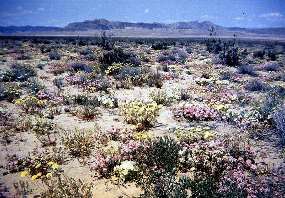 Right: the same area in 1998. 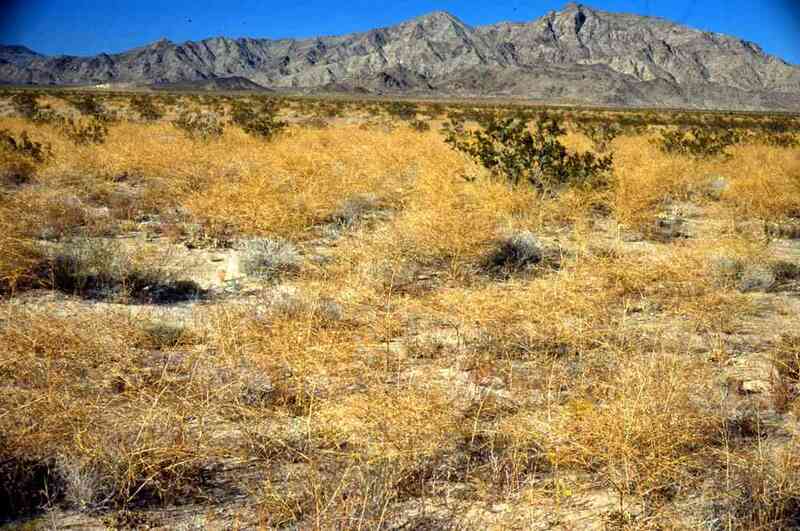 Sahara mustard has invaded and there were almost no native wildflowers. 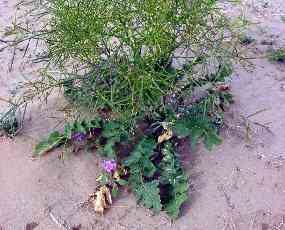 For more information, see the Sahara mustard page on our Invaders website.